Finding a new workout to help build your strength can be confusing and intimidating for gym novices, particularly if you've only ever tried the odd yoga or spinning class. "Strength training has been seen as this male-dominated area, all about body building," explains Tim Walker, the founder and head trainer at Evolve Fitness. "There's a fear about getting too bulky, which really won't happen if you're training properly." So where to start? We spoke to Walker and other strength-training experts to find out which exercises and programmes will have you confidently walking into the weights room, looking and, more importantly, feeling stronger in time for the summer. Evolve's Warrior Workout, overseen by Walker, is a 12-week intensive programme aimed at busy, working professionals seeking to transform their bodies and minds. "Basically, you give us control of your life for 12 weeks," says Walker. "Although the plan is tough, we're realistic in our approach. We understand the challenges of a busy career in the city and we can help you navigate those challenges." The programme allows you to push your body and your mind in a safe environment with qualified trainers. "Learning from a friend or random internet videos is the quickest way to injury," says Walker. It focuses on consistently challenging your current level of strength, while encouraging you to overcome the mental barriers of intense exercise. "Mental strength is the most important aspect of strength training; it's where the body you're trying to create begins. [At Evolve], you'll be in an environment that inspires success. No one is plodding along on a treadmill without purpose. Every client is there to change her life." A lot of women "love the idea of strength training but they're concerned it will turn them into the Incredible Hulk. This couldn't be further from the truth," Shannon Jewell, the concept manager at One LDN reassures. "The hottest celebratory training methods for fat loss and body sculpting now incorporate strength-training methods", meaning you should look to strength-based sessions "if you're looking to drop a dress size fast, lift and sculpt your abs, arms and bum". Similarly, "strength-training classes are often mistaken for laborious exercises and packed out weights areas," Jewell says, which is why One LDN aims to be "a breath of fresh air". Its WOD [Workout of the Day] classes are "based around essential strength exercises such as squats, deadlifts and weightlifting, which encourage multiple muscle groups and joints to move." In comparison to "repetitive treadmill runs [where] the body is very good at adapting to exercise, this type of strength training shocks your neural system into changing shape and burns loads of calories", resulting in strength progression and a key reduction in body fat. 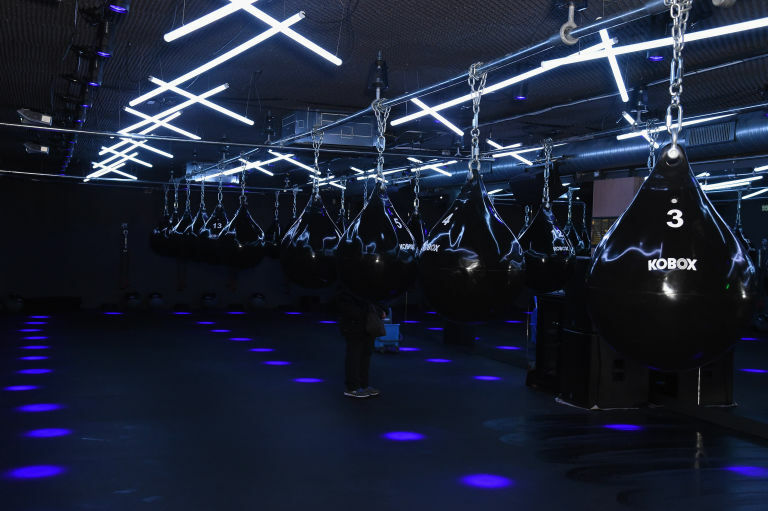 Kobox offers high-intensity boxing classes in a nightclub atmosphere, with classes favoured by Jourdan Dunn, whose brother is a trainer there. "Kobox in particular is great for strength training," says Ollie Lee, a personal trainer at Kobox. "We start with the basics – technique, form and breathing – and the instructor will work with you step by step, helping you to progress at the right pace. Then, when "you are comfortable and confident, you will progress to more difficult movements with heavier weights", which you shouldn't be afraid of. "Done right, this does not mean you are going to bulk up and become muscular." In fact, in many classes the attention is focused on "functional movement and strength training that will directly benefit you in your everyday life," Lee continues. "I include exercises that strengthen the lower back and core, helping to ease and eradicate back pain"; a complaint that is common in professionals who "work long hours, sometimes sitting at a desk... for long periods." You have the Australians to thank, or perhaps to blame, for the intense after-burn caused by the HIIT circuit-based workouts provided at F45. 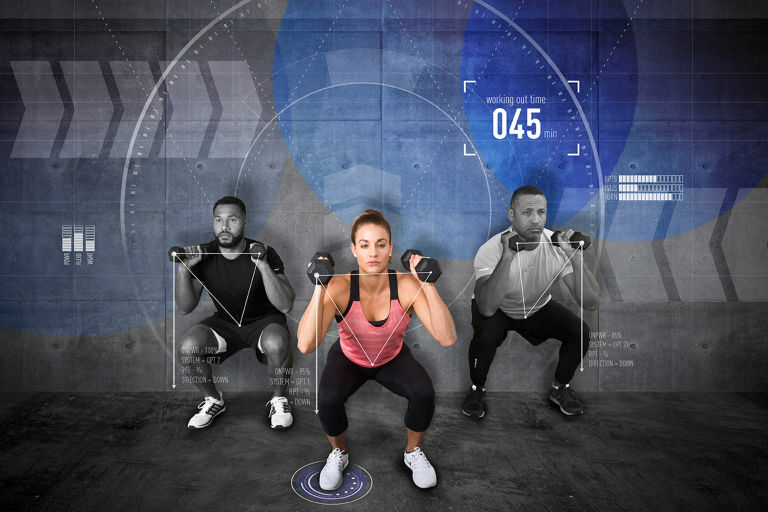 As Amy Costello, the head trainer at F45 Tottenham Court Road, explains, "F45 classes incorporate resistance training along with cardio elements to really ramp up your fitness levels, while helping you get stronger and leaner." In many ways, the key to the class' success lies not only in the lung-bursting intensity of the training, but it is also due to "no two sessions ever being the same". Costello explains, "One day you'll be doing movements and exercises that share resemblance to NFL drills, while the next day you would be focusing on agility work, and the next on resistance-style work." This avoids the tendency for boredom to creep into your fitness regime, helping you stay motivated and on track to achieving your goals. Among the countless benefits of Reformer Pilates, according to Alison Hendrick, a Beyond Movement clinical physiotherapist at Virgin Active Strand, is "its ability to challenge your control and strength a lot more than the normal Pilates", because of its use of a reformer ("a piece of equipment that uses springs to resist movements"). The focus of the exercise is on rebalancing your muscles – strengthening those that are underactive and lengthening those that are overactive – as well as building key stability muscles. Hendrick continues: "By improving your body's control and stability, your major muscle groups are able to work better without wasting important energy. Reformer Pilates is also able to strengthen the body in very functional positions such as sitting and standing... meaning the improvements in your strength and posture can be transferred easily into your everyday life." What is special about the post-injury care offered by Ten Health & Fitness is that its strategy for recovery combines the benefits of physiotherapy with Pilates. "In a standard exercise class, everyone is doing more or less the same thing at the same time. In contrast, a physio-led Pilates class is a small-group session with each participant individually assessed and working through a bespoke programme based around their specific needs and goals," explains Elle Rich, a physiotherapist and specialist trainer at Ten. As each session "is led by a qualified and experienced physio – who is also a qualified Pilates instructor – there's an extra depth of understanding of the underlying injury". This, coupled with the class' ability to utilise a wealth of specialist equipment not available in a traditional gym, allows a "more specific approach that is integral when an injury is related to a specific movement pattern, posture or activity". This means that your programme is not only tailored specifically to you, but it is more likely to be effective in rebuilding your strength.